Experience the magic of New Year’s Eve and the festive holiday season with world-class views at one of Sydney’s most desirable destinations. Flights to Sydney depart daily from the United hub cities of Los Angeles, San Francisco and Houston. Stay at COMO The Treasury Perth. Day trip to either Cottesloe Beach or Rottnest Island, WA. From AUD$1,390 per couple, staying in a Heritage Room. Rejuvenate at Jonah’s Ocean Retreat with the Pacific Ocean at your doorstep. Enjoy a pampering 1-hour Swedish or aromatherapy massage, with exquisite dining. Snorkel straight off the beach onto the Great Barrier Reef with your snorkeling equipment provided. Includes four nights’ accommodation with full buffet breakfast and dinner daily. 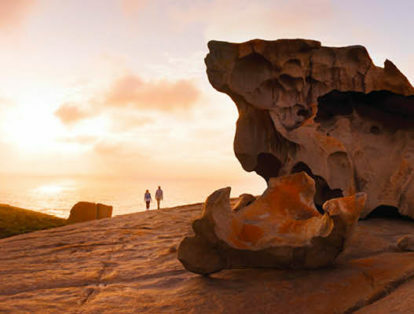 Experience a spectacular Red Centre sunrise, sail a yacht around iconic Sydney Harbour and snorkel the Great Barrier Reef on this 13-day Inspiring Australia tour.